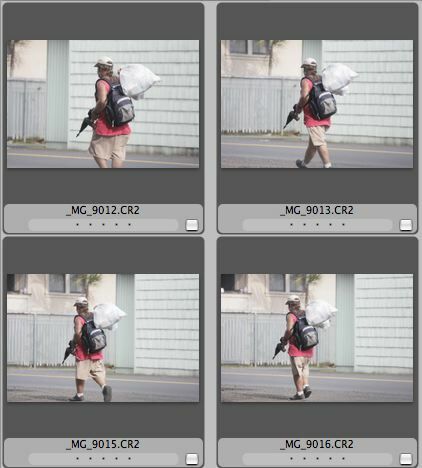 So I’m in Hilo sitting in my car getting ready to photograph a graduation when I look up and see this guy walking out on the public street carrying a carbine and a magazine of ammo off in the distance. I think, Holy Cow! So I quickly grab my camera and snap a few photos. I mean, something like that would seem to be trouble for sure. 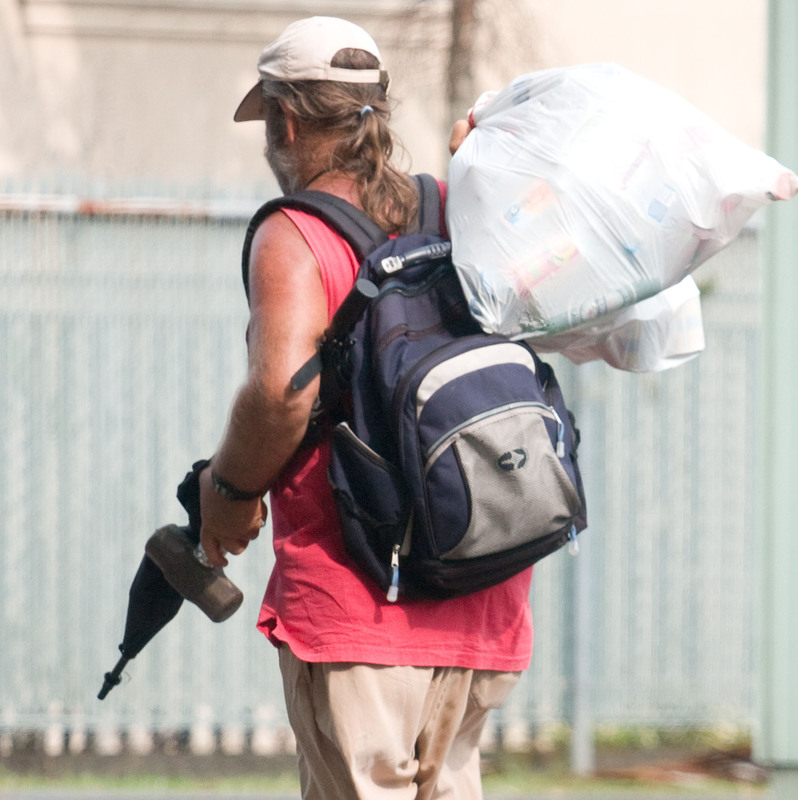 As the guy walked off I chimped the image…click on the images above to see what I saw. That's a great picture! Me… I probably would have grabbed my phone and dialed 911 before my camera. Just goes to show who has more experience with NEWS! That's hilarious! I totally thought the same as you until I saw the closeups. Whoa! Trippy, huh!? !